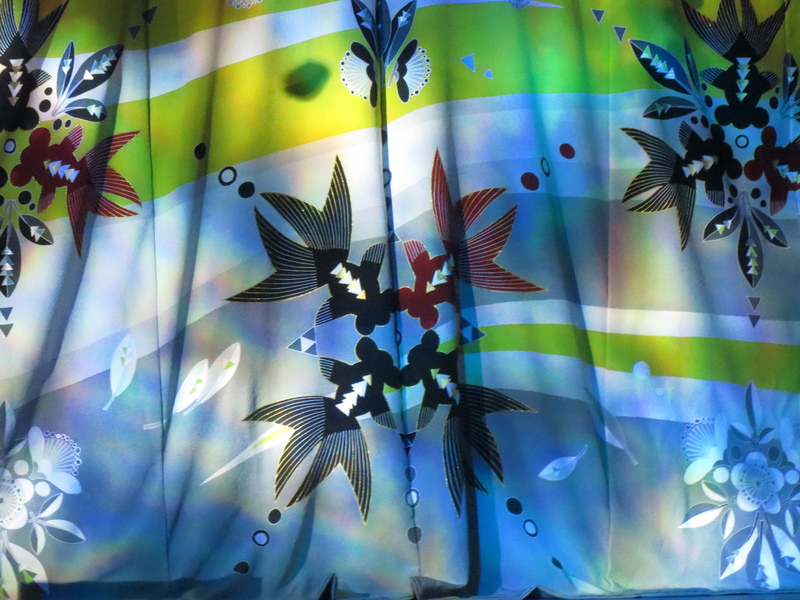 Art Aquarium at Nijo Castle, Kyoto | Ready, Set, Kimono! 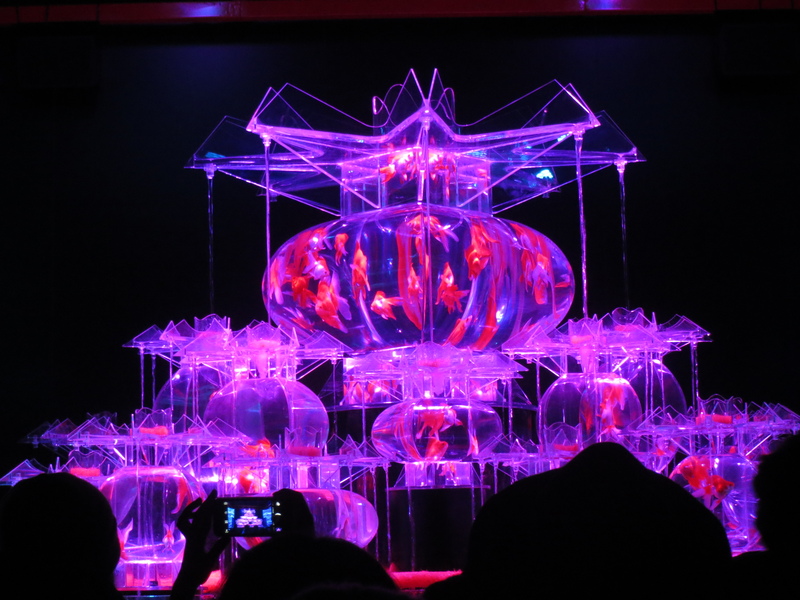 From October 23rd to December 14th 2015, Nijo Castle in Kyoto played host to an art aquarium. Honestly, I wish I had heard about it sooner, but I heard about it last week and decided to take a trip up to Kyoto to check it out. The theme was goldfish, and they were everywhere. 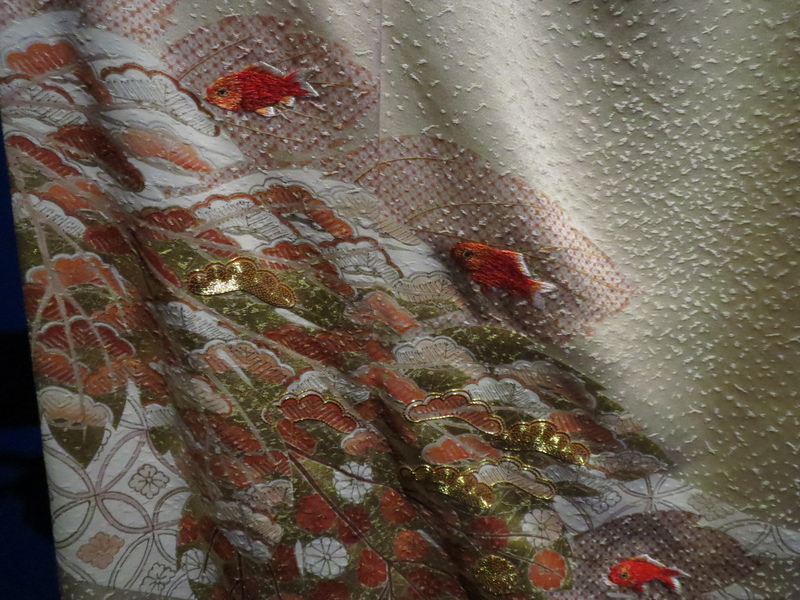 I love goldfish, especially on kimono, and the displays outside were incredible. But I was there for something else. Two things to be exact. 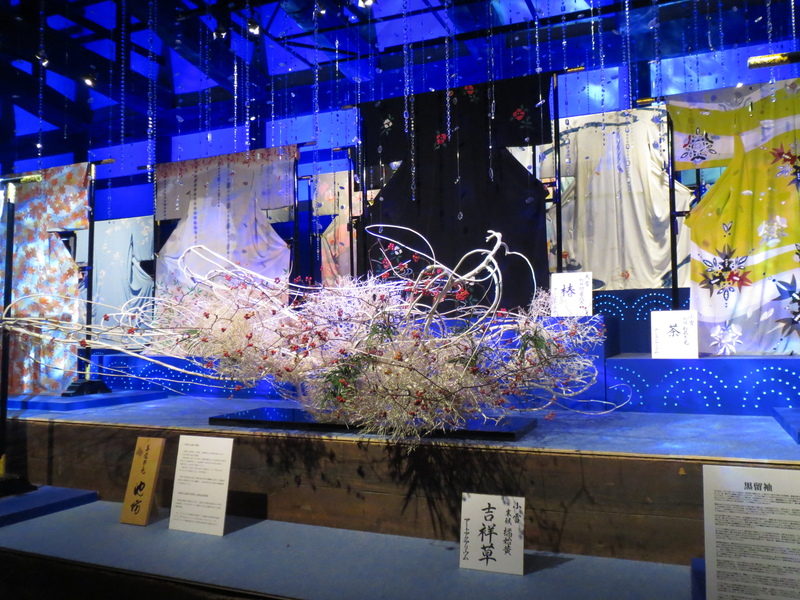 The first was called Kagyoryoran Monyozu no Ma (The Room for Flower and Fish Blooming in Profusion pattern). 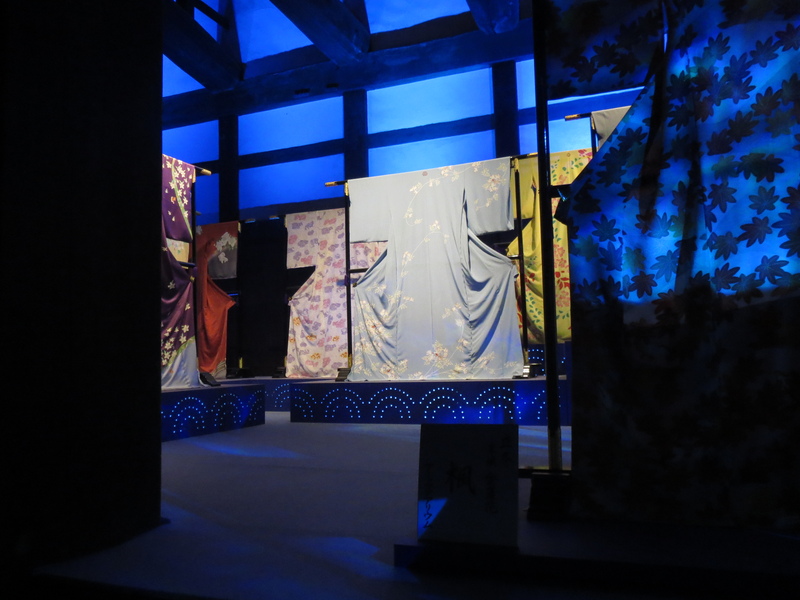 It was a display of many kimono representing the 72 divisions of the traditional Japanese calendar. 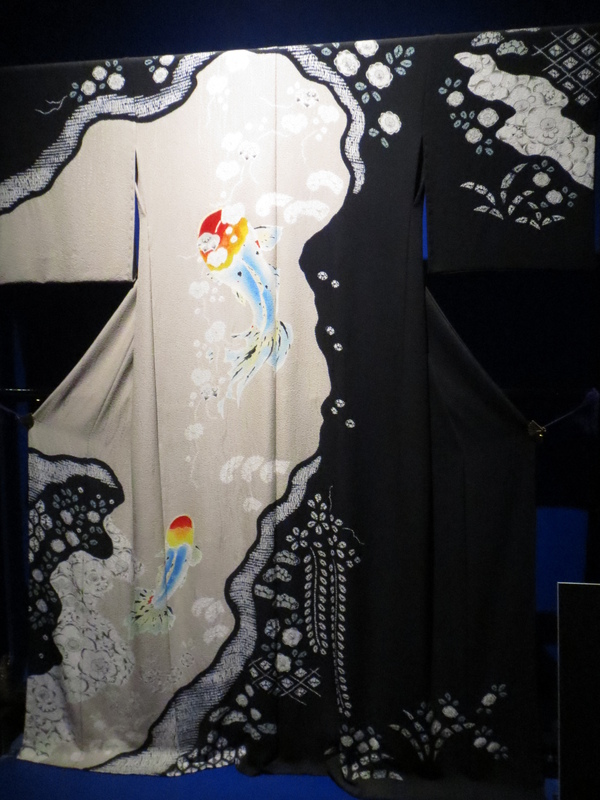 Each kimono represented one of these divisions and included seasonal motifs and goldfish. It was absolutely gorgeous, at least the parts I could see. 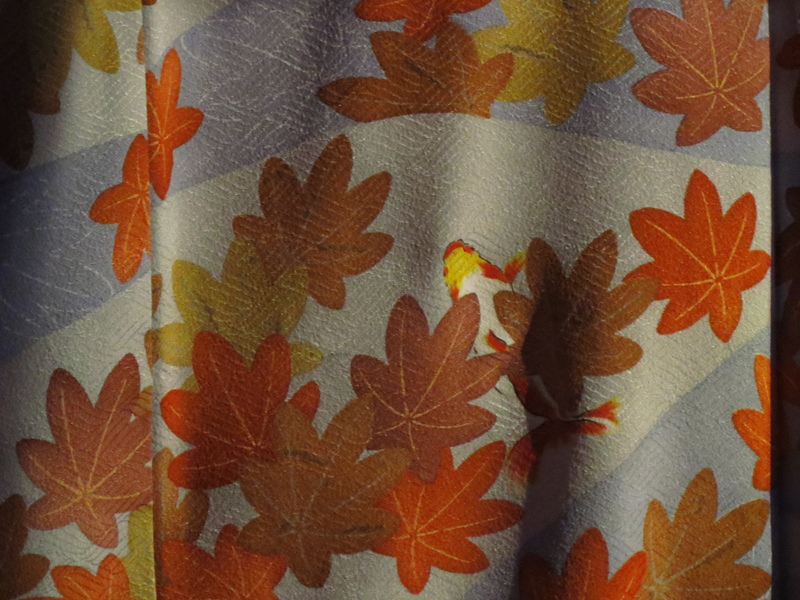 I was disappointed to find that most of the kimono were hidden behind other kimono, or were so far away it was impossible to make out any details. 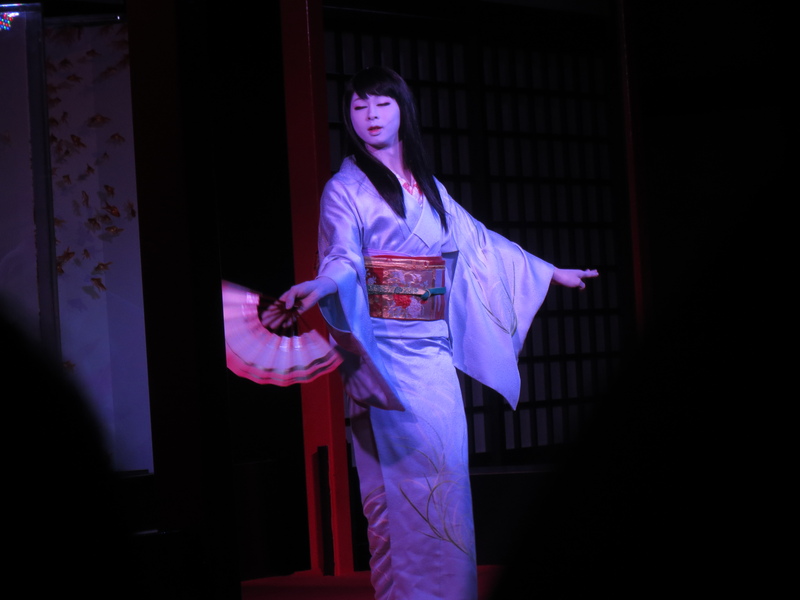 The other thing I came to see was traditional dancing. 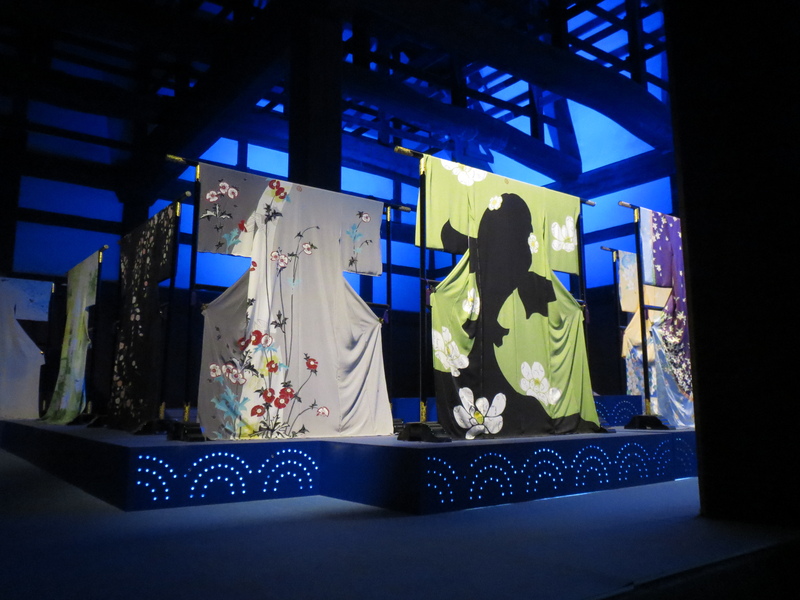 It was called “The Dance of Nijushisekki and Shichijuniko” The dancer uses a kimono that has been specially designed for the season based on the old calendar with 72 divisions. It was quite spectacular and I only wish I had a better seat!